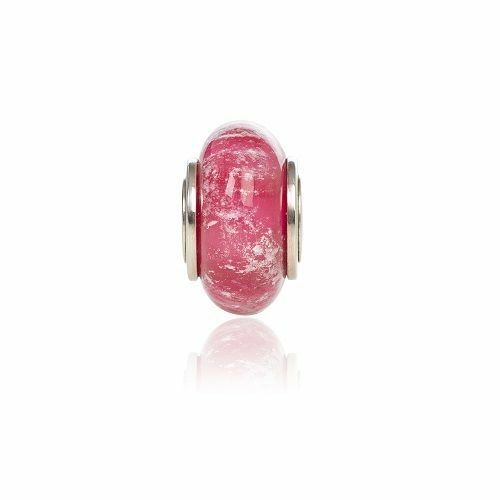 The Fuchsia flower influences the colour for this beautiful cremation glass charm bead. 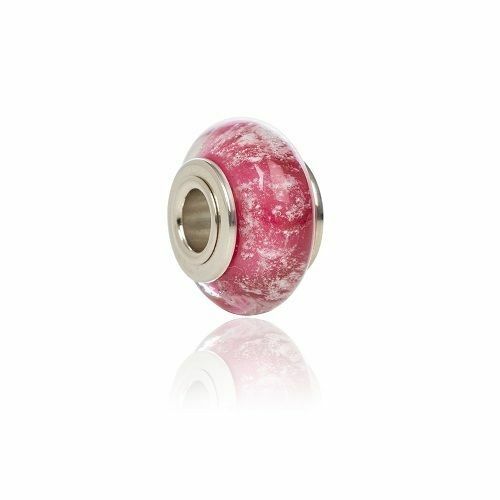 The Ashes inside the glass really stand out against the vivid Cranberry colour. 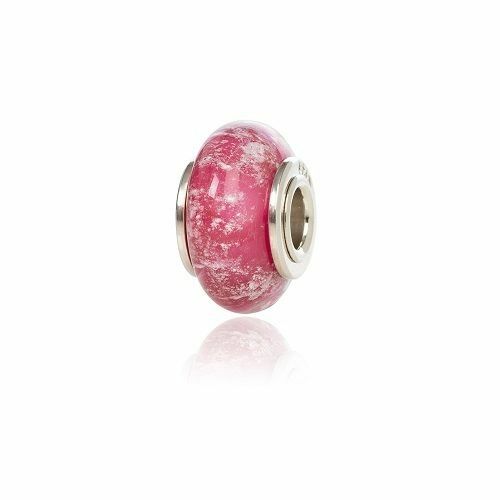 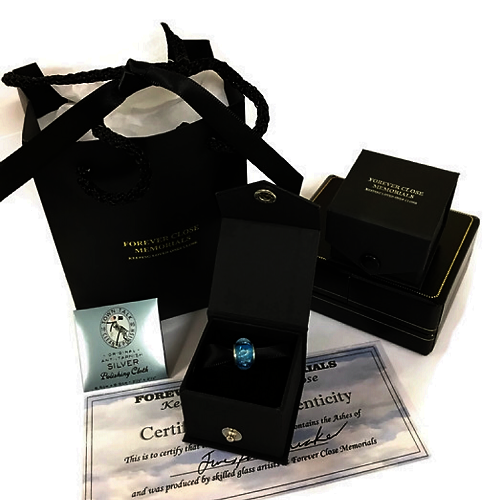 The Charm is fitted with a Sterling Silver core with a 4.5 mm opening and fits the popular Pandora brand amongst others.